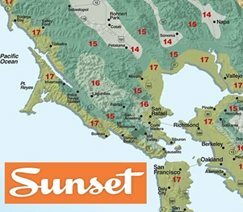 If you live in the western states your best bet is the Sunset climate zones. If you live in the eastern states the USDA hardiness map will work. Gardening zones are used to help determine where plants can be successfully grown. In order to get the best results, the plants selected for your landscaping should be suitable for your climate. This will impact the plant's performance as well as how much maintenance and water are required. Ideally you want plants that are native to or can readily adapt to your region. The USDA offers a handy planting zones by zip code search function. 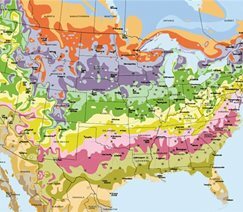 And Sunset offers a climate zone map that can help you select appropriate plants. The USDA zones work well for the East, while the Sunset zones work excellent for the West. Based only on average winter temperature lows, the USDA map is most accurate in flat areas. 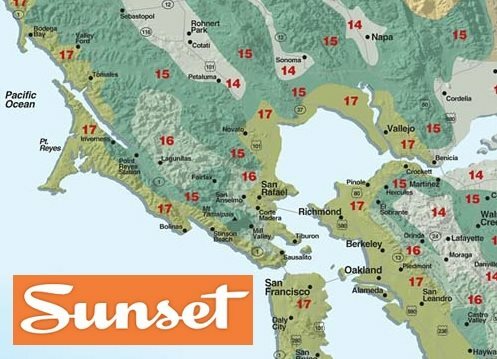 Based on latitude, elevation, ocean influence, Continental air influence, the impact of mountains, hills and valleys, as well as microclimates, the Sunset zones are more accurate for areas with diverse topography and climate conditions.